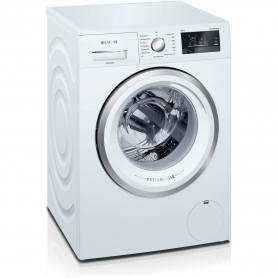 The freestanding Siemens WM14T391GB is the perfect family washing machine. With an 8 kg capacity, it can pack in shirts, football kits, or bags of university laundry. It comes with a classic white and silver design, so will fit in perfectly with any homeâs dÃ©cor. 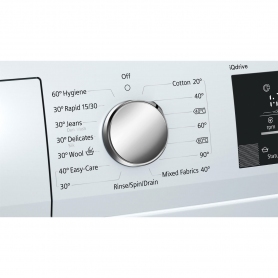 Thereâs also a varioPerfect feature, giving you further control over your wash. If youâre in a hurry, this feature can help you save up to 65% of the washing time. Or, if youâre feeling particularly conscious of your utility bills, achieve perfect results while saving up to 50% of the energy costs. The Rapid 30 cycle is great if youâre in a rush and need to freshen something up. This quick wash cycle runs for 30 minutes, or if youâre after an even faster turnaround, it can run for a max of 15 minutes too. Found a t-shirt that needs washing, but youâve already started the programme? Thatâs not a problem, thanks to the washing machineâs excellent Reload function. Simply press the Start/Reload button, and, once the machine is ready, the door will unlock for you to throw in any extra items. Close the door, press the Start/Reload button again, and the programme continues automatically. An 8 kg capacity is ideal for families, so you can pack in mounds of laundry or wash bulky items easily. 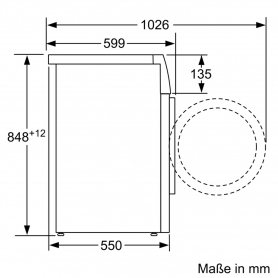 The 32 cm porthole makes the WM14T391GB easy to use, and the door opens to 165 degrees to help provide better access. The large LED display, with touch buttons, makes it easy to adjust the spin speed, delay the start of the programme and check the status of the current programme. With a spin speed of 1400 rpm, your clothes will be thoroughly cleaned in no time. The innovative wave drum design is extra gentle on your clothes while helping to achieve perfect results. 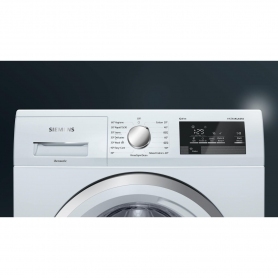 This Siemens extraKlasse washing machine is also equipped with an iQdrive brushless motor, which is much quieter than conventional motors, as well as antiVibration side panels. 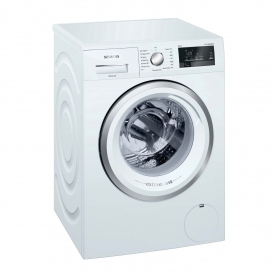 These features keep the WM14T391GB to a quiet 50 dB â quieter than most conversations â during the wash cycle. Sensor-controlled wash programmes monitor and optimise the amount of water used based on the size of the load â so you be sure that unnecessary water wonât be used. Not only does the WM14T391GB get your clothes clean, it can also save you money. Itâs been awarded an A+++ -30% energy efficiency rating, which is one of the best ratings you can get. This will help reduce your energy usage, meaning this Siemens extraKlasse machine will be kind to your wallet and the environment. 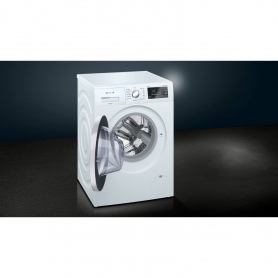 Order the Siemens extraKlasse WM14T391GB washing machine today. 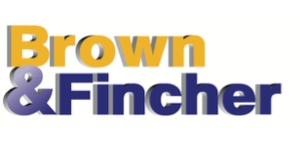 Itâs exclusive to Euronics and Agent stores, so you wonât find this fantastic appliance anywhere else.